Cue Jimmy Buffett singing "Margaritaville..."
Last week we escaped the winter blues in NYC and went south. As far south as we could go, actually, without leaving the country. We went to Key west, the southernmost point in the Continental United States. (The "southernmost point" marker on the island is a tourist hotspot with people waiting in line to take their picture with the sign, actually). Just 90 miles north of Cuba, surrounded by stunning turquoise waters and tiny islands, Key West was the perfectly tropical weekend trip we wanted without busting out our passports. Key West has an international airport, but we were coming off of a few days in Miami, so we booked some crazy cheap tickets in and out of MIA for just $80! And, since it's an easy (and beautiful!) 3 hour drive through the keys, we loved the idea of a short road trip! 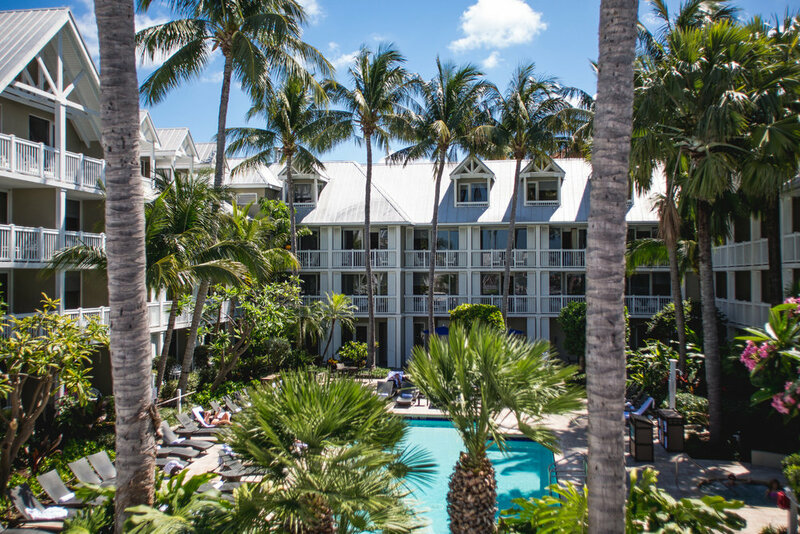 While we were in Key West we stayed at the stunning Margaritaville Key West Resort & Marina, and we couldn't wait to share this incredible property with you! It was the perfect Resort for a fun, relaxing weekend in the sun. 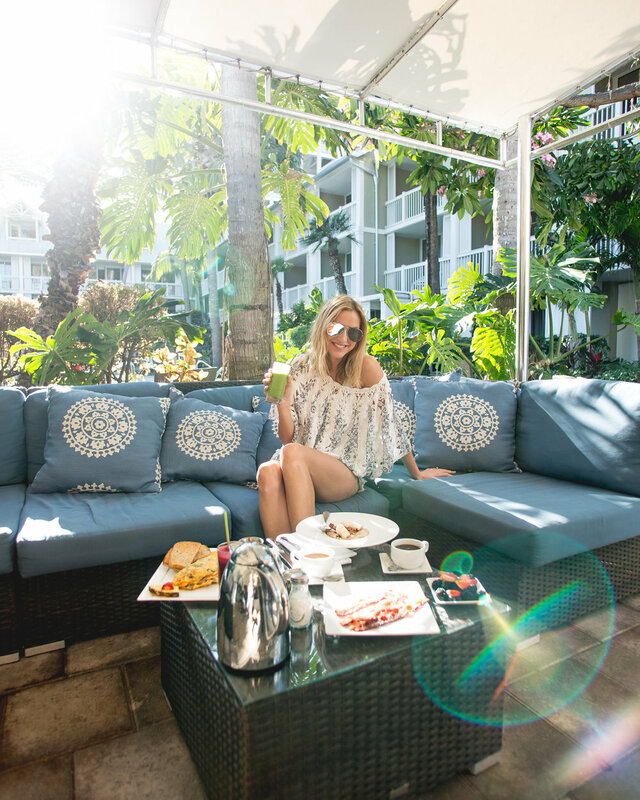 From the tropical pool vibes and outdoor dining to the spacious, modern rooms and ideal island location, we found ourselves completely comfortable and relaxed from the moment we arrived. The staff is warm and welcoming, and there is SO much to do without going far. If you're the type who prefers to spend your vacations sitting poolside sipping Key Lime Margaritas, this place is for you. At the same time, though, Margaritaville's marina location and close proximity to Duval street (an easy 5-minute walk) makes it the perfect base for your island adventures. Tara and I are somewhere in the middle, so our ideal property offers both- and that's exactly what we found in Margaritaville! So, we wanted to share our top 10 things to do during your stay at Margaritaville Key West Resort & Marina. It was challenging to narrow it down, so you'll just have to come and see the rest for yourself! Key West is a treasure trove of restaurants, bars, history and attractions, and you can find it all on Duval Street! Imagine New Orleans and the Virgin Islands combined to form one main drag... that's Duval! Ok let's be honest.... this is everyone's dream in the middle of winter. Margaritaville does it right! Work on that tan in the hot FL keys sun, or relax in the shade of a palm tree. Just sit and relax without lifting a finger and order your favorite summer cocktail from Castaways, the pool bar, and you'll find yourself singing "wasted away again in Margaritaville" in no time! Or, like we did, follow up dinner with champagne and dessert! Chocolate covered strawberries, a bottle of bubbly and a jacuzzi for two was just what the doctor ordered. Every evening at Sunset, Margaritaville hosts a fun celebration on the pier next to Bistro 245 filled with music, food, vendors and street performers, and it's a great way to transition from day to night! Take in the sunset while being entertained and sipping your favorite cocktail! Key lime pie, Key Lime Cooladas, Key Lime Margaritas, Key Lime everything! When you're in Key West, it's a non-negotiable! Above the pool and overlooking the Ocean, the Sunset Deck is the perfect setting to take in the gorgeous Key West sunset! It's roomy and covered in strung-up lights, and it's basically the perfect way watch Nature's dazzling display. We rode bikes from the resort and spent an afternoon exploring Key West. 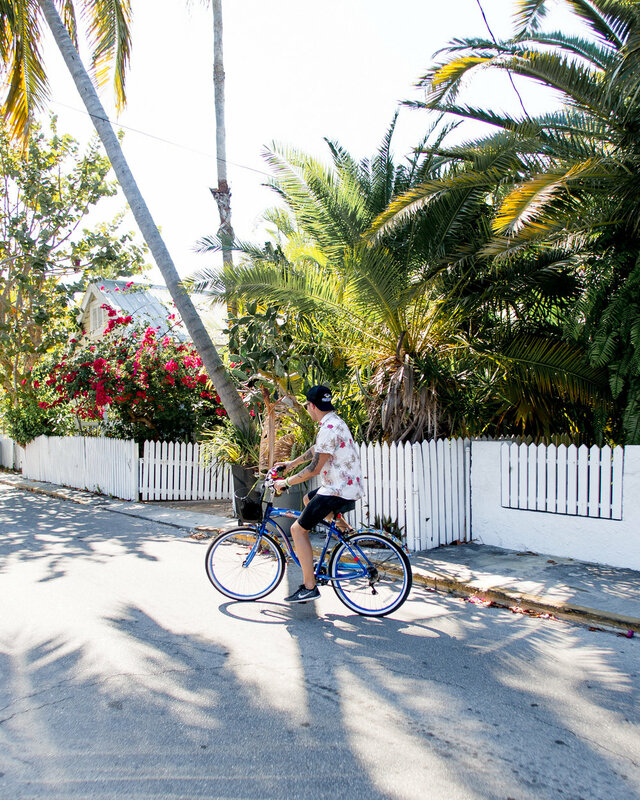 If you ride all the way to the very end of Duval Street, you hit Key West's Southernmost point- which is in fact the southernmost point in the continental United states! One of our favorite parts of Margaritaville was how friendly everyone was! The staff and the guests alike- we found a rare combination of private luxury and cordial mingling. Generally, at a resort where people are partying together, you sacrifice the peaceful romantic vibes for the fun. But, at romantic, secluded hotels you can sometimes lose the fun you find at a more upbeat property. Maybe it's the name, or maybe it's the well-thought out resort design, or maybe it's just the magical island vibes... but at Margaritaville you truly get both! *This post was sponsored by Margaritaville Key West Resort & Marina, but our opinions, as always, are our own!